We offer a wide range of services to help you bring your ideas to life. Our staff in store will be more than happy to discuss any service needs you may have. The Drapery Shop specializes in home interiors and interior design, in particular, window and blind systems and all aspects of curtains. We offer a complete interior design service. We provide a professional measuring, make up and fitting service. When you work with us, your project will be perfect from start to finish. Our fitters are professional, courteous and fully insured. For furniture that looks outdated we provide a reupholstering service that gives you over 50,000 different types of Fabric to choose from. We are certain you will find that perfect design that brings your old furniture back to life. 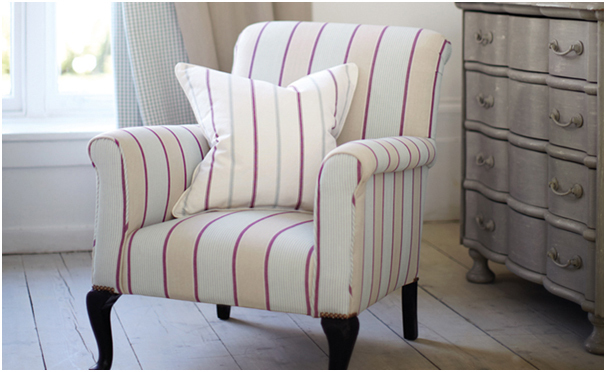 We have a full range of upholstery fabrics available including chenille, leather, and linen. We can have your suite, dining room chairs and cushions reupholstered to bring them back to life using a range of our Fabrics.